“Pro-migration leaders in Brussels have again been found siding with the United Nations Global Migration Compact,” Foreign Minister Péter Szijjártó said in Brussels on Monday, insisting that “they want to pass the package despite nine EU members voting against it”. 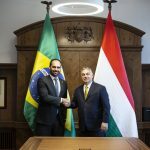 After a meeting of foreign ministers of the EU and Arab League, Szijjártó said, “Plans have been made both in New York and Brussels to have components of the pact passed, failing the package being adopted wholesale”. 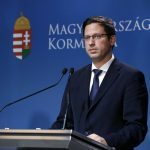 Concerning a draft of the meeting’s closing statement, Szijjártó said the migration compact “cannot be incorporated”. Szijjártó added, however, that the EU should cooperate with the Arab League in a number of areas to promote security, stability and economic development. 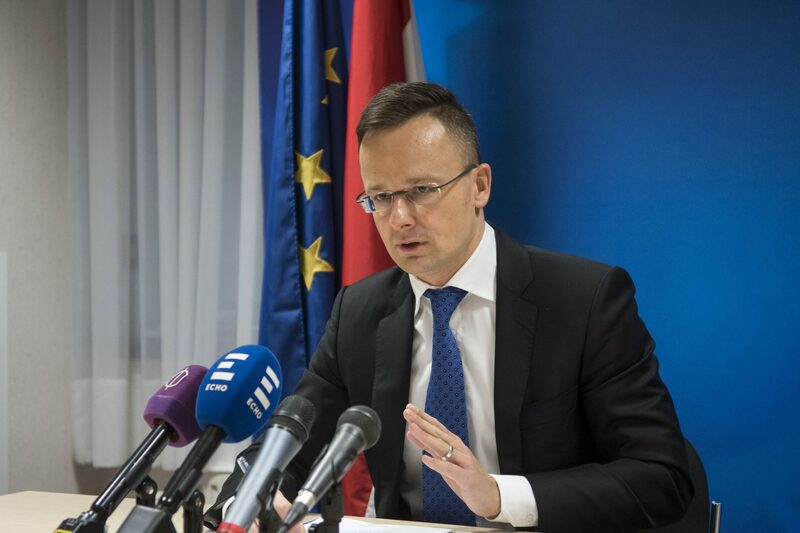 The EU needs to build its policies on the foundations of mutual respect, Szijjártó said. “Attempts at intervention … have resulted in destabilisation in a number of countries”. “Attempts to export democracy must be excluded,” he added. The foreign minister called for strong border protection and close cooperation between the EU and Arab League to prevent members of the Islamic State terrorist organisation from entering Europe. Citing a forecast, Szijjártó said that the population of the Arab states was expected to grow from 398 million in 2015 to 520 million by 2030, and said that countries in Africa and in the Middle East should be helped keep their people at home. Hungary, as a Visegrad group member, is cooperating with Tunisia and Libya in border protection, and is also pursuing its Hungary Helps scheme to assist persecuted Christians. Hungary has financed hospitals and schools in Syria and Iraq, and provides scholarships to students from Arab countries, Szijjártó added.